Join us at Meany Lodge for an adventure filled weekend of hiking, great food, and family fun. Meany Lodge will be adventure central the first weekend of August with exciting outdoor activities for all ages. Swim in a mountain lake, take a berry hike through acres of salmon berries, huckleberries, and wild strawberries, pedal alongside the reservoir, or wander the lodge property. Family and child friendly hikes are organized for both Saturday and Sunday in the Stampede and Snoqualmie Pass areas. 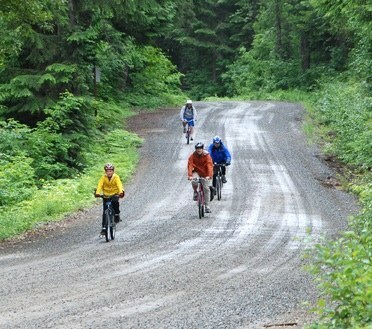 We are will have Mountain Bike outings around the lodge roads and down through the John Wayne tunnel. 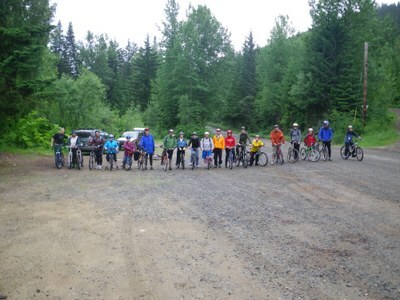 Small groups may use Meany as a base camp for more energetic outings of their choosing. Join us Friday, August 4 through Sunday, August 6, or come for Saturday-Sunday. The cost for this weekend covers overnight accommodations, meals, and activities. You provide the bicycles or hiking gear and the family. Bike tools, spare tube, well oiled chain and full tires! First time visitors are encouraged to check out Meany's Guest Information Page to learn more about what you can expect when you visit the lodge. Is the lodge wheelchair accessible?